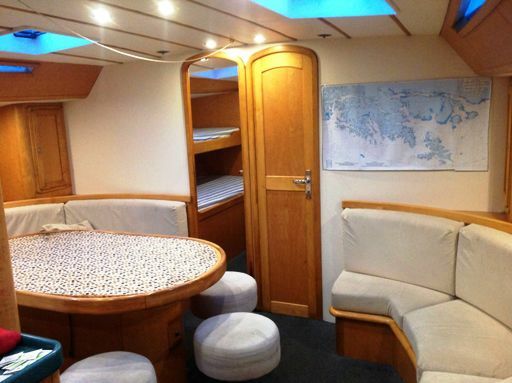 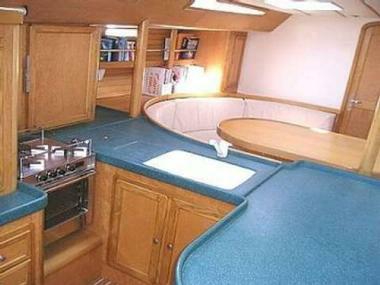 Tarka has an impressively voluminous and comfortable interior layout. 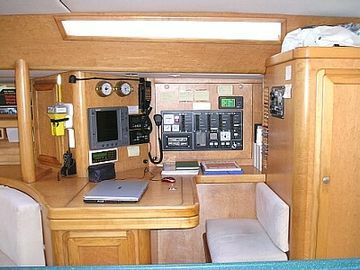 The galley, the chart table / nav station and the salon form the "living area", that can be accessed directly from the outside cockpit. 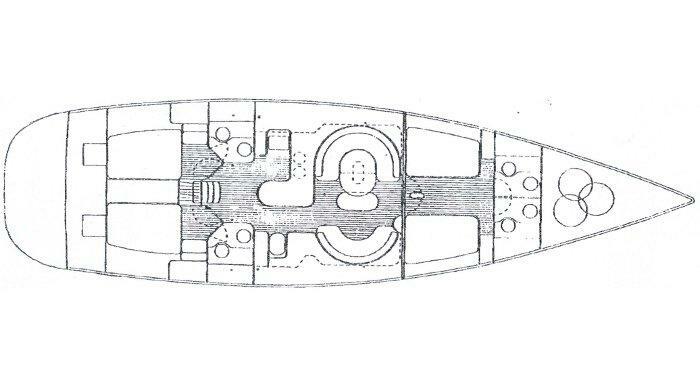 A large storage locker is located forward, just aft the anchor locker. 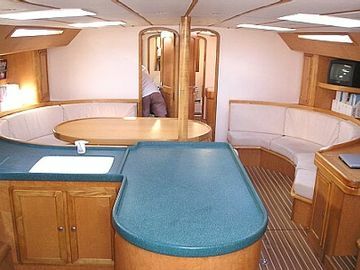 2 additionnal berths are located in this area, wich can be used as a 5th stateroom. 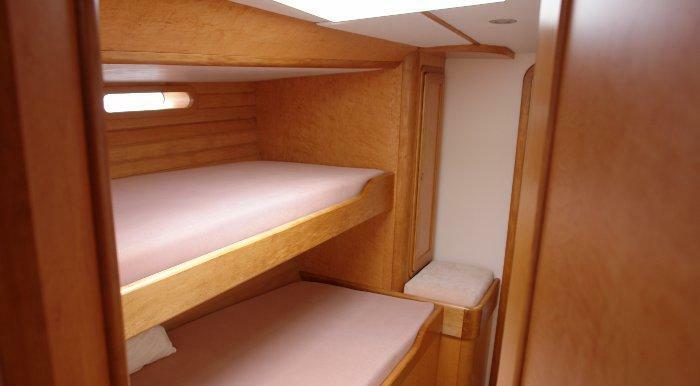 The foreward staterooms have 2 single berths. 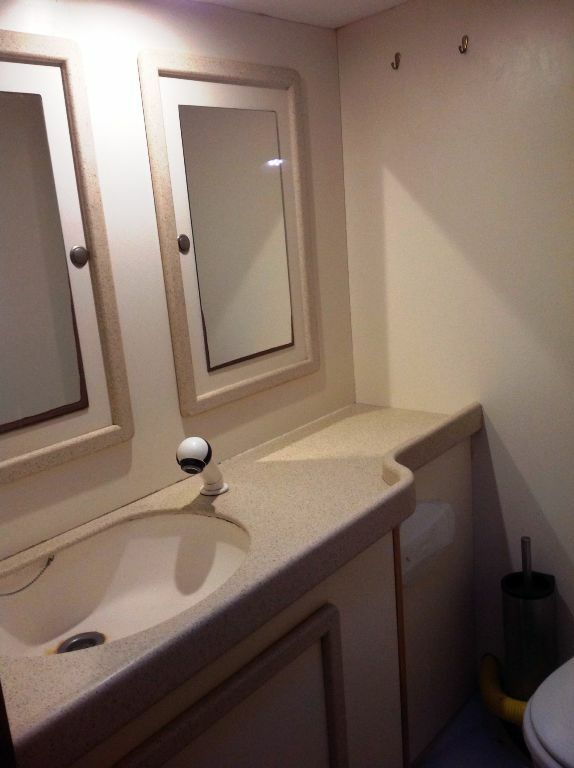 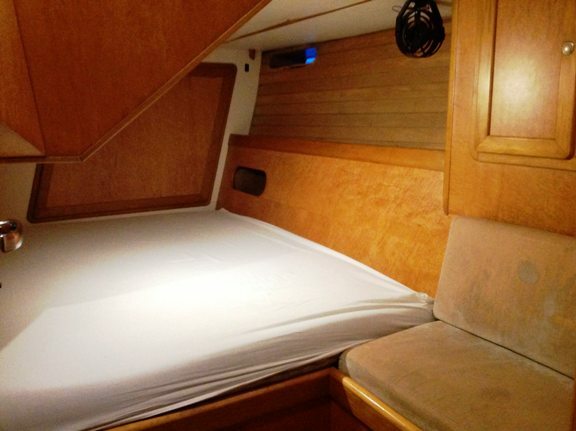 The back staterooms have 1 double berth.